Nikon Nikkor Ai-s 800mm F5.6 MF ED Lens. HE-3 Hood. 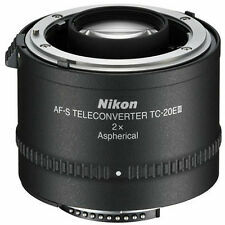 · Nikon LC37c 52mm Filter mounting. · Include Rear Cap, HE-3 Hood, Hood Cap, Case. · Lens glass and mount is good - No Fungus, Haze, Scratch. · All functions operate properly. A super telephoto camera lens, the Nikon ED IF AI-S is full of superior optical performance and sharp image definition, allowing photographers to capture subjects from great distances while maintaining quality and clarity. The key feature of this Nikon camera lens is its f/5.6 aperture along with an 800 mm focal length. It incorporates innovative optical technologies that ensure accurate details in images and convenient control during operation. With a powerful 16x magnification, the Nikon ED IF AI-S fills the frame with subjects in a distance. Plus, the ingenious Internal Focusing design enables the Nikon camera lens to stay compact while delivering smooth focusing action. Nikon's nano crystal coating, on the other hand, influences the color rendition of the 800 mm f/5.6 lens by reducing lens flare and eliminating ghost effects. The aspherical elements are tailored to correct and leave slight traces of chromatic aberrations. On top of superb precision and control, the 800 mm f/5.6 lens is designed with a solid construction to withstand the demanding environment of professional use. Generally, the Nikon ED IF AI-S provides the opportunity to take distant subjects without compromising quality, making it ideal for sports and wildlife shooting and even for surveillance projects.